American Express Meetings & Events has formed a joint venture with event production and creative agency WRG to offer corporates a consolidated alternative to a typically fragmented event planning process. The deal, which the two companies claim is unique to the meetings industry, will enable clients to tap into American Express Meetings & Events’ venue sourcing expertise and WRG’s creative services, offering clients a 'one-stop-shop' for local or international events planning and implementation. Peter Manning, UK director of American Express Meetings & Events, told C&IT that the two companies are working together on some events and are near to securing several new joint clients. 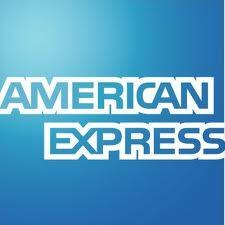 American Express Meetings & Events’ international reach will be complemented by WRG’s growing global footprint. The Manchester and London-based agency has overseas offices in New York and Doha. Barry Day, WRG’s chief executive, told C&IT that the launch was a response to a "concerted drive by companies to rationalise and target spend". Michael Schüller, American Express Meetings & Events’ vice-president EMEA, told C&IT that one of the sectors that the offering would appeal to would be the pharmaceutical industry, which has "started to consolidate meeting spend," while Manning said the services offered by the joint venture would also appeal to the technology sector. Manning added: "Corporate spending globally on meetings and events is estimated to be $140bn (£89.6bn) annually. We know that corporations are facing challenges with increased scrutiny over their meetings budgets and need to understand and meet new regulations, while not compromising on the ultimate design and creativity of their meetings and events. Mark Wallace, WRG’s chairman, added: "The collaboration of WRG and American Express Meetings & Events is a landmark offering in the business of live events and meeting management. Creativity is at the core of everything WRG does – striving for brilliance through innovative and unique ideas."